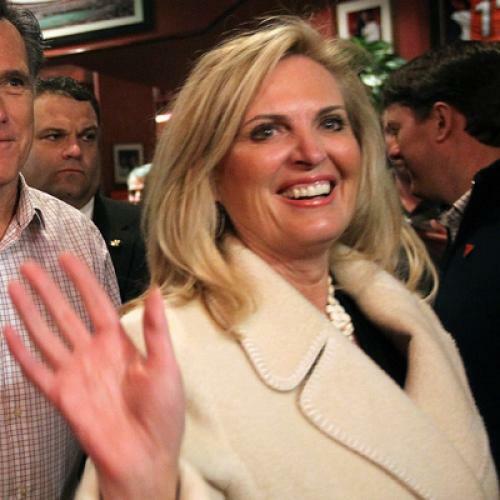 CNN commentator and Democratic strategist Hilary Rosen should not have stated that Ann Romney “never worked a day in her life.” Romney may never have had a paid job, but she raised five kids, apparently without that much help from her husband, Mitt. Rosen has since apologized for the remark, the Obama administration has made clear Rosen does not speak for the president, and that may well be the end of the story. But maybe it shouldn’t be. Rahm Emanuel famously suggested no crisis should go to waste. Sometimes the same applies to campaign controversies. As Romney, Rosen, and any other parent can attest, raising kids is hard work. The question is which candidate would do the most to help which parents. It’s not a simple question to answer: Broadly speaking, the candidate who helps parents the most is the one who will do more to promote economic growth, to look out for public health, and to keep the country safe. In other words, the candidate who does the most to help parents is the one who does the most to help all Americans—and that’s obviously a big, and complicated, subject. But raising kids also involves some very specific tasks and, for many American parents, carrying them out is a struggle. The first and most obvious need for parents is child care. Responding to Rosen’s comments, Ms. Romney said all women should have the choice of working or staying home. She’s right. But to make that choice a realistic one, women, to whom the primary responsibility of raising kids usually falls, need affordable day care. For low-income women in particular, often the only option is day care that government agencies provide—sometimes through national programs, like Head Start, and sometimes through state programs. Even many middle-income families depend on after-school activities that the public schools provide. (My family certainly does.) But funding for those come from the states, which, particularly during times of slow growth, depend upon federal money to provide sufficient services. Romney has not said explicitly that he wants to cut funding for these programs or for other programs, offering financial assistance for food and housing, on which so many parents depend. But Romney has pledged to cap federal spending at 20 percent of Gross Domestic Product, while reserving a fifth of that for defense spending and adhering to a balanced budget amendment. According to the Center on Budget and Policy Priorities, distributing such cuts evenly across the budget (while exempting Social Security, as Romney has said he would) would “require cuts of 35 percent in 2016 and 56 percent in 2022.” Even if the cuts didn’t affect all programs equally, they’d surely affect at least some of the programs—and some of them substantially. Romney has specified cuts he’d make to Medicaid: They would be severe, as discussed previously in this space. He’s also pledged to repeal the Affordable Care Act. This would obviously affect low-income parents, since many of their children would not have health insurance. But it would also affect middle-income families. Many of them would also end up uninsured, or at least struggling more to pay for health insurance, since the law makes subsidies available to people making up to four times the poverty line—or about $88,000 a year for a family of four. And don’t forget that Medicaid is also a major financier of nursing home services. That may not sound like it has anything to do with parenting, but caregivers for children frequently end up as caregivers for elderly relatives. Without Medicaid, that can be a much greater financial burden. So what does Romney offer parents? Tax cuts, of course. But, as you may have heard, the majority of people won’t get that much money. According to an analysis from the Urban-Brookings Tax Policy Center, filers in the lowest income quintile would actually see their tax liability rise while those in the second quintile would see their tax liability fall by less than $100 per household, on average. Those in the middle income would get a tax cut of about $800 per household. The top two quintiles would do a lot better, getting average tax breaks of $2,100 and $16,100. The first two quintiles would seem to be clearly worse off, given how much they'd lose from dimishined public services. It’s a bit less clear cut with the middle quintile and would obviously depend a great deal more on specific circumstances. But once you factor how much even middle-income parents depend upon programs like federal assistance for college tuition, it's hard to see how they'd be better off and easy to see how they might be worse off. Among parents, really, the only clear beneficiaries of Romney’s fiscal plans would seem to be the wealthiest ones. They depend least on the government programs Romney would cut and they’d benefit the most from the tax cuts he wants to pass. Of course, those parents are also the ones who struggle the least right now. They may be familiar with the difficult work of raising kids, but they’re frequently not familiar with the financial struggles that lower- and middle-income parents face—which, come to think of it, is precisely what Hilary Rosen was trying to say. Update: Greg Sargent asks a very good question: Does Romney, who has pledged to roll back an increase in cigarette taxes, also want to roll back the expansion of children's health insurance that the tax finances?